On Wednesday, March, 1, 2017, the Southern Illinois University community will celebrate its inaugural SIU Day of Giving – a day for students, staff, faculty, alumni and friends to give back to the university. SIU Day of Giving celebrates the university’s Founders Day, which is a time to mark the achievements of our great institution and look to the future. This year, the SIU Day of Giving is a particularly great opportunity for donors and potential donors to demonstrate the power of philanthropy. The SIU Foundation is asking every person on campus, in the community, across the state and throughout the world to take one minute on March 1 to stop and reflect what SIU has done for you – and then give back. 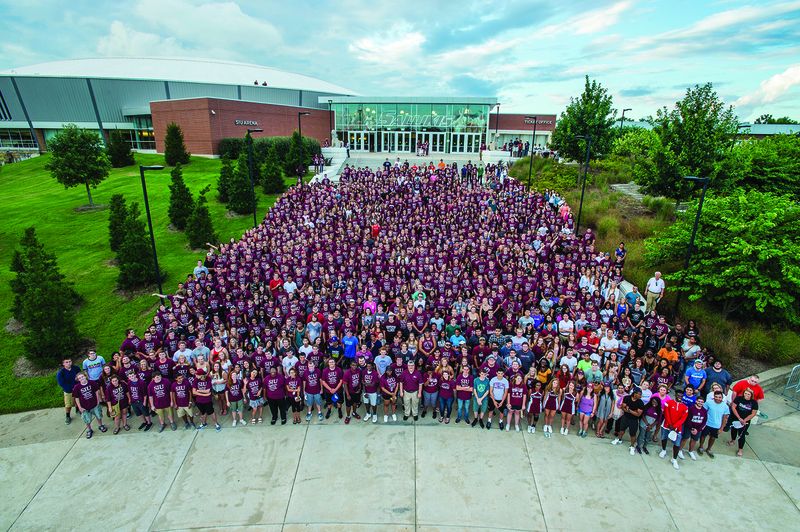 “This is our effort of rallying our campus, our alumni and our community,” says Jim Salmo, SIU vice chancellor for development of alumni relations. “We want people to be involved in numerous ways, and giving is one way to show their support of SIU. Salmo suggests that alumni and friends of SIU put a reminder on their calendars or mobile devices and then spend five minutes or fewer online to change the life of a promising student. “There is no such thing as a gift too small, and all gifts are deeply appreciated,” he adds. The Foundation is encouraging everyone to share the word through social media networks by using the hashtag #SIUDAY. For more information, visit siuf.org. We hope you will join in this exciting venture and help make this a Day of Giving to remember for SIU. Making your gift or pledge is fast and easy. Beginning in February 2017, be listening and watching for easy ways to give. If you would like to give now, you may also participate via traditional mail, phone or in person at our Foundation Office. You may reach us at 618/453-4900 or at 1235 Douglas Drive, Mail Code 6805, Carbondale, IL 62901-4308. Thank you for your support. Your gift will make a difference in the lives of our students.